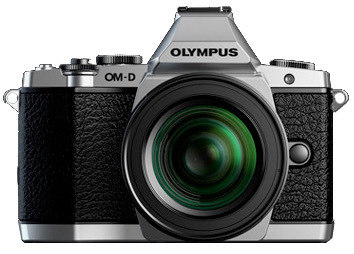 After a month of leaks, many of which seem intentional, Olympus today got out their hype machine and launched the E-M5 OM-D. So which is it Olympus, a Pen or an OM? Apparently unable to decide, the marketing department chose designations that imply both. Take an E-P3, stick the E-PL3's tilting LCD on the back, remove the flash, add a dedicated EVF instead of an optional one, stick in a new 16mp sensor and you've got the US$1000 E-M5 body. Oh, and stamp OM-D on the front. While my tongue seems to be stuck in my cheek here (it's been a long day, with lots of announcements and a bunch more briefings on upcoming announcements, so I'm a little keyboard happy today), it does seem like there's been a lot of pre-hype and announce hype on what effectively is Olympus' G3 competitor. There's plenty to like. The basic body style is quite retro on the front and top, evoking very much the old Olympus OM film SLR designs. The retro look isn't just a look, as Olympus has basically kept the unbroken things about how cameras used to be work intact on this new camera. That's a pleasant change from button-heavy modern designs or retro designs in style only. Like the Panasonic G3, the E-M5 is a "small DSLR" at first impression. Actually smaller than the OM-4T I used many years ago. That's good news. A bunch of you will opt for the new optional vertical grip and completely blow that "small" impression, though. With the HLD-6 grip the camera grows into real DSLR size, though it does get additional shutter releases, dials, and an extra battery capability. Like the camera, the grip is dust and splash proof. Everyone's a little surprised at the high profile of the "prism" on the E-M5. That's not due to the EVF, it's due to the fact that Olympus chose to put their accessory slot at the top of the hump. Included with the camera is the FL-LM2 flash, which slips into that accessory slot and adds even more vertical profile to the camera. As you might guess from my wording, I think it might have been better to forgo the stack on top. If an accessory slot was really necessary—and it is because of the optional accessory line Olympus has created—it might have been better to handle it the way Nikon did on the V1: to the side of the prism. I say that because the prism buildup makes the E-M5 30% taller than the E-P3. That's starting to become a significant growth (it's the same width, and only slightly deeper due to the tilting LCD). The big "revolutionary viewfinder" revelation wasn't actually about the design of the viewfinder. Let me back up a bit: one of the leaks—again with hyperbole in the wording—was that the viewfinder would be revolutionary. No, what Olympus meant was that "shooting image can be created in the finder." The example they showed was exposure compensation with highlight/shadow control, while also choosing white balance and Art Filter. In other words, what you see is what you get. So about that sensor. After all the leaks and rumor build-up, surprisingly little was officially written by Olympus about the sensor. Privately they talk using odd metrics. 40% more dynamic range, for example. In engineering terms, that would imply 140%, which is only a half stop better than the current sensor. Yeah, 40% sounds better. (Fujifilm does the same thing: 200% is a one stop improvement, 400% is a two stop improvement in Fujifilm's extended dynamic range settings.) 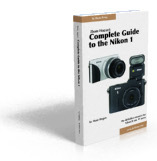 dpreview seems to think that it's the Panasonic sensor (used in the G3 and GX1). That's likely, as the sensor is a "Live MOS" sensor, which means Panasonic-supplied, but Olympus has chosen to not mask off quite as many pixels and use a different base ISO. Olympus has always been ahead of Panasonic in terms of JPEG quality extracted from the sensors, so if it is the Panasonic sensor, that's fine with me--it's a decent enough sensor. Also part of the sensor is its interaction with autofocus. If I got this correct, the sensor runs at 240 fps for continuous autofocus (120 fps for single autofocus). There was also an equivocation in their presentation that needs to be checked in shooting: that the best autofocus tracking will only occur if the camera is used at maximum frame rate. From all the hints in the presentation, my guess is that the new autofocus system adapts to camera settings and use, but that wasn't explicitly said. I really wish that Olympus marketing would stop using hyperbolic wording such as "world's fastest..." in their materials, though. While that's usually footnoted in some way with a claim to a test, it's not a test that's actually specified, so none of us can actually verify the claims (e.g. "using Olympus' in-house test conditions"). Besides, such tests are engineering-speak, not consumer marketing. What Olympus marketing doesn't seem to do so much is use benefit-based marketing. As in "tracks focus faster than any previous mirrorless camera, allowing you to follow subjects that move quickly, such as your children playing soccer." Or "tracks focus fast enough for you to retire your big bulky DSLR." Moreover, all the overstated claims eventually undermine sales. Olympus has at least three times previously claimed "world's fastest autofocus system" for a new camera. If that were really true, all the Sports Illustrated shooters would be using Olympus cameras. Unfortunately, the qualifiers coupled with the hyperbole mean that people eventually start not believing the claims that Olympus does make that are legitimate. I'm not sure that the mirrorless user actually wants "faster than my DSLR" or "better than my DSLR" anyway. Sure, they'll take that if you deliver it, but what most of the mirrorless users want is "good enough that I can give up my DSLR." A 0-to-60 claim doesn't actually tell you whether a sedan is good enough to give up your sports car. It only implies it, and then only if the consumer only measures that one thing. From what I can see so far, it looks like Olympus took away none of the things we like about the Pens, but added a lot of things we will like more. That's the kind of progress we like to see. Moreover, I haven't seen anyone yet comment about the Olympus Web sites, which distinctly say "OM-D System Cameras," as in plural. The E-M5 isn't an only child, it appears. Finally, Olympus pseudo-announced two new lenses, the 75mm f/1.8 and 60mm f/2.8 Macro. While the lenses will be exhibited—likely in glass cases—at CP+, I think most m4/3 users who've been following the rumors will be disappointed to hear the "launch by the end of 2012" tag line. In other words, you have some time to start saving your pennies.